Feel childlike interests, return to innocence. 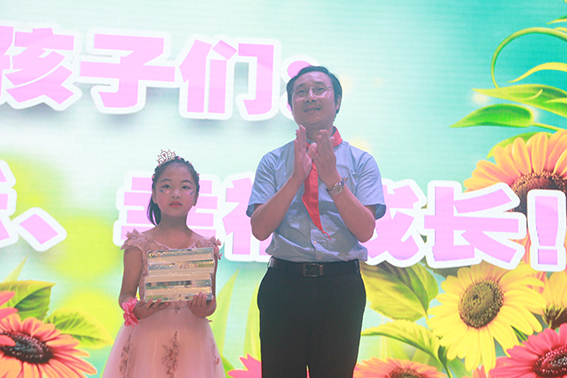 On Children’s day, Shu Yueping, deputy secretary of Guangbo Group Party committee, and his group, walked into Shiqi street experimental primary school, sending the most sincere holiday wishes and exquisite presents for the children. Let the children have a fun and meaningful holiday. In the school auditorium, on behalf of the company, Shu Yueping sent this exquisite stationery bag to the hands of student representatives, and greeted them with festivals and blessings. Later, Shu Yueping had a detailed and in-depth understanding of the students' life and learning situation. Tell the children to cherish the time, ask for advice and study diligently. In the future, be a self reliant, self assured person who can make outstanding contributions to society. Let the lover continue. Based on the stationery industry, in the past twenty years, Guangbo has always insisted on building up public welfare undertakings for education. Not only invest in new hope primary schools, take the initiative to join the condolences of poor areas, but also actively carry out pair action to help poor students complete their studies. Up to now, a total of 5 million yuan has been donated to public welfare education. In the days to come, Guangbo will continue this perseverance and strive to make more people feel this love.